Last time I checked, the voters approved the tax for transit and there was little mentioned of roads until the state legislature who believes you have no rights unless you vote their way, are trying to undo the progress the county is making. I am in the Reno airport waiting to catch my flight to Los Angeles so I can catch my flight to Orlando, so I can catch my flight to Fort Lauderdale. We are now just two or three years away from having our next TRAX line, the line out to Daybreak. It will good to see a light rail line go out to the best walkable area in our suburbs. 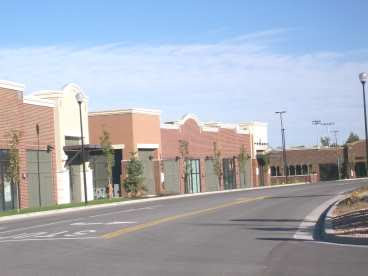 My wife and I are considering a place in Daybreak so we can have a walkable area and be close to TRAX. If you read the comment section you will see a couple of road warriors have attacked (probably Drew Chamberlain, Bill Bolton or Michael Packard or all three). They use the same tired arguments that the road warriors have been using for years. I always like the old technology one after all, the last time I checked the car is pretty old technology and if it wasn't for pro automobile social engineering starting in the 30's, maybe we wouldn't be in this mess now. What you will never here, is the road warriors comparing trips in a corridor between autos and TRAX. In other words they try to use all trips because it makes the highways look better but if you look at trips from an area around one station to another, TRAX is doing very well. Yeah, I know I just got back on Sunday from a trip but I am leaving again but this time will have more transit riding in it. I will leaving today for Reno then will head for Miami on Tuesday night. Will get a chance to ride Reno's transit system tomorrow and Sunday, plus several days riding Miami-Dade County transit in Miami. Will be back on Monday the 5th and give you some ideas on my experiences. While on vacation this past week, I had the opportunity to give Sound Transit's bus system a try. While there is local bus service provide by the counties such as Metro in King County and Community Transit in Snonomish County, Sound Transit was created to build light rail, commuter rail, and to provide a regional express bus system. On Wednesday I arrived on Amtrak's Cascade service from Portland. My hotel was the Extended Stay in Bothell which is north of Lake Washington and Seattle. First I headed for the Seattle Bus (and now Light Rail tunnel) which recently reopened after two years of retrofitting. I got on Sound Transit route 550 which was packed even though it was 1:30pm and transferred to route 535 which took me to the Canyon Park Park N' Ride which is a freeway exit but turned out to a very short walk to my motel. I took the same buses to get back to King Street Station the next day but this time had to walk all the way through the parking lot of the Park N' Ride lot, take an elevator up to a bridge to take me over the freeway to an on ramp with a bus stop next to it. The 535 Route was assigned Gillig Phantom buses (UTA bought these from 1995-1997) but in a suburban configuration. The 550 on the other hand is assigned Hybrid Articulated buses (basically the same buses used on UTA's 200 Route except hybrid and in a suburban configuration). These buses were bought to be used in the bus tunnel when it reopened to replace the troublesome dual mode diesel/trolley buses that were bought to use in the bus tunnel originally. The trip was 26 miles involving 1 transfer and took us only 54 minutes. However, for those that complain about UTA drivers should spend the day with Sound Transit Drivers. I thought Los Angeles had some of the unfriendly drivers but Sound Transit is worse. The drivers are provided by the various county agencies but all four drivers were bad. It is clear Sound Transit needs to work on their drivers. Otherwise I was very impressed with the system and it got to where I needed to go and it did it quickly, efficiently, and with little hassle. Just so you don't think this blog died, I will be traveling until the 21st. Once again I have to point out that NIMBY group run by Summer Pugh is out to lunch. Anyone who thinks that TRAX should be heading down Station Street and cross 123rd South right by the Interstate 15 clearly has not thought the project out. This is clearly a greedy NIMBY group who doesn't want what is best but what they want and screw everyone else. Image via WikipediaThe Mayoral candidates for Salt Lake City are talking about the proposed skybridge that would cross main street. Lets look at the good and the bad of the bridge and the complex itself. 1. 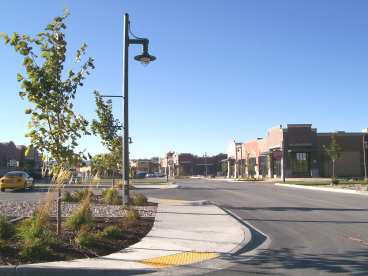 People will be able to cross Main Street without having to deal with TRAX or automobiles. 2. People on the second floor of the complex will not have to head to the lower level. 1. The Skybridge will keep people in the City Creek complex instead of sending them to Main Street and other shopping opportunities. 2. In Spokane the Skybridge system in downtown caused pedestrian traffic on the streets to become none existent. While this is only a single bridge it can have the same affect. 3. 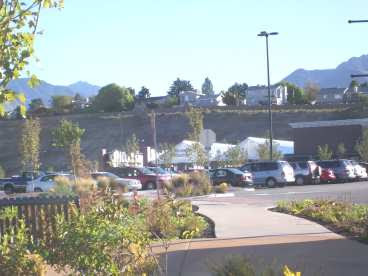 It will create a wall between street level and the City Creek complex. While I am trying to keep an open mind about City Creek, I do see things that concern me. It appears to be very auto centric despite it's downtown location and it is being designed to bring people into the complex and keep them there. We still have several years before the complex is finished and my fears will not be realized. However, this is the reason why we need a stronger planning force in the city, one that works hard to provide pedestrian and transit friendly buildings so that transit becomes a choice to use and not an obstacle course. Operation Lifesaver is an important program trying to reduce the number of accidents involving railroads. A never-ending tax for TRAX? I had an appointment in Sandy the other day so I stopped by to take some pictures of the Sandy Pit. This new Boyer creating in a former gravel pit was very contentious but eventually Dolan and Boyer won. 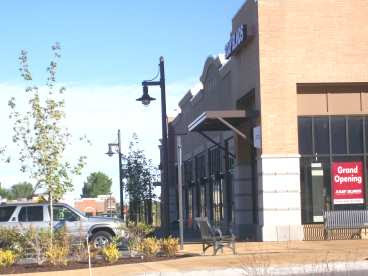 Some feel that if you put sidewalks in a development it makes it pedestrian friendly. Well in this set of pictures from the pit I will show you that it takes more than sidewalks to make a place pedestrian friendly. First of all we have a picture looking from the parking area and pharmacy drive up windows toward the housing. So far so good, as you can see you will have a sidewalk toward the development but anyone will have to cross a road with no protection to the pedestrians and we know that the drivers will not slow down. However let's face it, how many people are going to walk over to Wal-Mart to pick up some groceries? Wal-Mart is not a pedestrian friendly store. This next picture starts showing the real trouble. There is two parts to this development and the parts shall not meet except if your in a car. 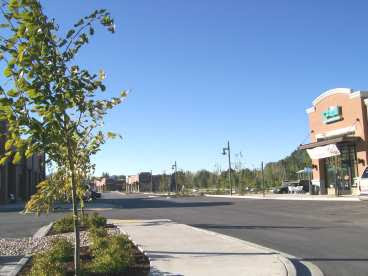 One thing you must have make a development pedestrian friendly is the a complex that is easy to walk. Well look at the view from Wal-Mart to the smaller retailers. Do you really think people are going to walk from the small stores to Wal-Mart or visa versa? Of course not it is too far to walk in a hostile environment. Now we look at the front of the Lowe's store. Much like Wal-Mart Lowe's is not a pedestrian friendly store. So instead of having easy access to the store even people getting out of their cars have to the face the hostile environment of the driveways and face impatient drivers. Now this is the sidewalk leading from the small retailers to Lowe's. 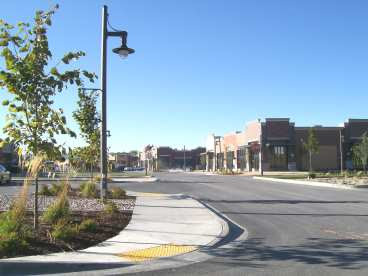 Once again you have to travel a great distance from the small retailers to Lowe's plus cross a major driveway that will be extremely dangerous once this complex is fully up and running. 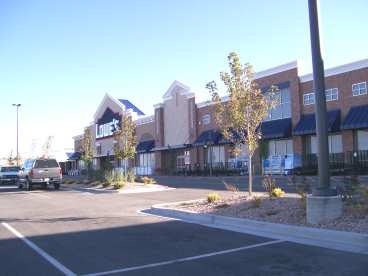 Also notice that the sidewalk doesn't even lead to the front of the Lowe's store. If anyone plans to take their life into their own hands and try to walk from the Lowe's store to the small retailers they face this major driveway. Then they do not hit the front of the stores but instead have to continue walking because this is the back of the complex. Instead of having the whole complex face each other, it was design so that it is basically two complexes in one and not meant for a pedestrian to get from one to the other. Now here we are in the area with the small retailers. So far so good it looks like you have sidewalks to all the retailers and they are relatively close together. However, upon closer inspection you realize that the sidewalks are very narrow and only designed for someone to get out of their car and walk into the store. There is not much consideration given to people walking along the front of the stores. Finally four pictures looking from the north side along the driveway to the small retailers. 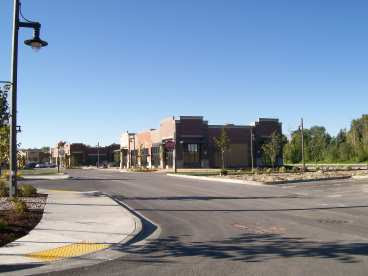 As you can see from the pictures the small retailers are spread apart, with a great distance from one store to another. The main focus is for someone to drive up go to that store and leave. It is not designed for people to walk the center. In the end, the design of this center will create it's own traffic nightmares. 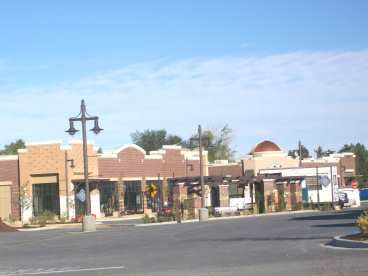 Because the center is not designed for someone to make multiple stops in one shot, not only will you have people traveling from outside the complex in, from the complex out, but you will also create a third traffic problem with people driving from one store to another because the stores were not designed to be easily accessed by foot. The design of this complex is hostile to the pedestrian and will only create traffic problems. One of the current problems with our transit system is that we have a area that is so hostile to the pedestrian that people are discouraged from riding transit. 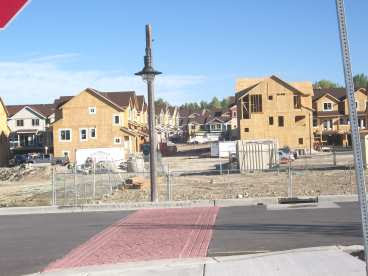 Well Gateway will soon be rising at Highland Drive and 2100 South, Oh I mean new Sugarhouse. I have said it before, there is nothing in this development that offers anything special. You will have high priced condos, high end chain retailers, and office space. There is nothing that separates this complex from Gateway. -Parking entrance will be right on 2100 South. Parking entrances should be in the back of the building. All this creates is a situation that pedestrians will have to cross a driveway that people will barrel in and out of and make crossing it unsafe for pedestrians. -While this fits in to what I already mentioned, the development will focus on Highland Drive leaving the 2100 South area left to itself. At least this development will be more pedestrian friendly than it's neighbor across Highland Drive. 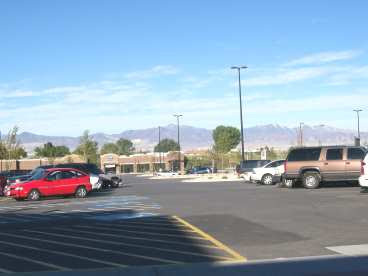 I hope Mr. Mecham works with the community to build a good complex and takes into consideration the walk ability of not only Highland Drive but also 2100 South. Sugerhouse was a unique area, but the city has slowly let the area's character be destroyed. It's time for the city to take a more active roll in building better communities.